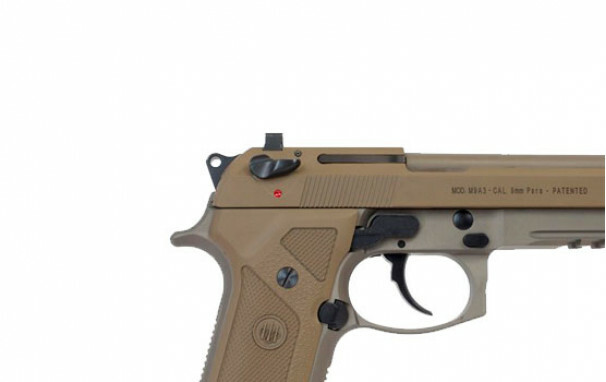 With the M9A3 semiauto pistol, an evolution from the M9, Beretta has brought together all of the tactical and functional features that today’s combat professionals require. These are highly desirable features such as a Vertec-style thin grip, universal slide design convertible from safety decocker to decocker-only, a bevelled magazine well, oversize mag-release button, and a 3-slot built-in Picatinny rail. Its Vertec-style offers a vertical configuration that makes it easy to point the handgun to where you would normally point your index finger of your dominant hand. This instinctive pointing is highly prized and makes for consistent—and consistently-accurate—target acquisition. Also, the grips are thin even though they accommodate a double-stack magazine which makes trigger-reach simple and offers a compact profile. Comes with a built in 3-slot Picatinny rail at the front of the trigger guard so you can easily attach a variety of tactical accessories, including lighting systems, laser aiming devices and more. Additionally, more versatility is offered in the form of a removable front sight, for tactical shooters who have a distinct preference in terms of sight picture, material or construction. 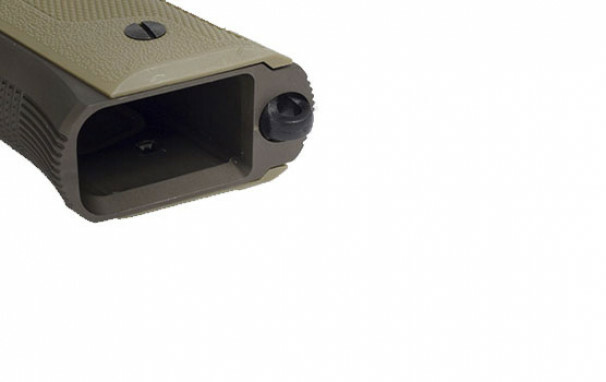 One of the most salient benefits of the M9A3 is its universal slide, which is easily convertible from FS to G mode. 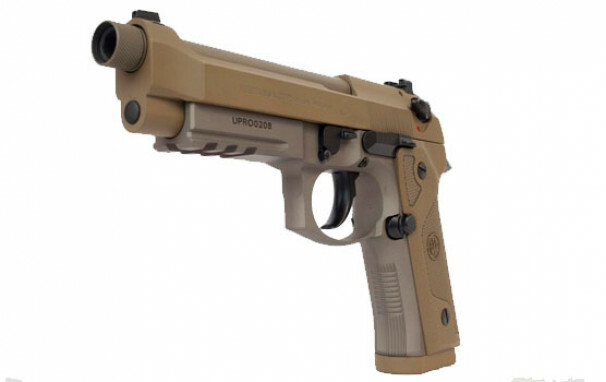 This means that the M9A3’s safety lever can be used in a safety-decocker mode or it can be converted to perform a decocker-only function for those who prefer this configuration. The M9A3 was designed to be used in the heat of combat. For this reason, Beretta has put a generous bevel at the magazine well, so that tactical magazine changes may be performed quickly and easily with one hand, regardless of lighting conditions. Along the same lines, the magazine release button is oversized, making it simple to use when seconds count even while wearing gloves. 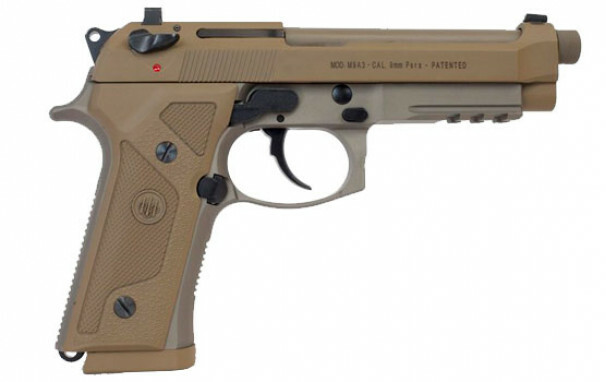 Thanks to its hyper-resistant FDE finish that is practically impervious to the elements, sand-resistant magazines (10-round standard) and intuitive tool-free disassembly, the M9A3 is low maintenance. On the range, the M9A3 will always give you the absolute best of Beretta’s centuries-old experience and long history serving the needs of professionals the world over.